With the introduction of the Caliber 400 XP Kyosho has raised the bar of quality and performance to the next level. Building on the already durable and lightweight design of the Caliber 400, the XP has implemented additional performance features that are typically only found on much higher priced kits. With the combination of a brushless motor system and lithium polymer batteries the XP will open the flight envelope to new levels. Utilizing the proven quality of components that Kyosho is known for throughout the industry, the XP will give consistent performance for a long time to come. Strengthened and redesigned mixing levers for increased durability and flight performance. Now adjustable to accommodate tuning for different flying styles. Dual point fork design collective pitch lever for precise slop free operation. All control levers can now be fitted with bearings as an option. Front tray mounting option for battery to allow better 3D aerobatic performance. Tail mounted servo for more direct linkage control and accommodates larger size servos without modification. 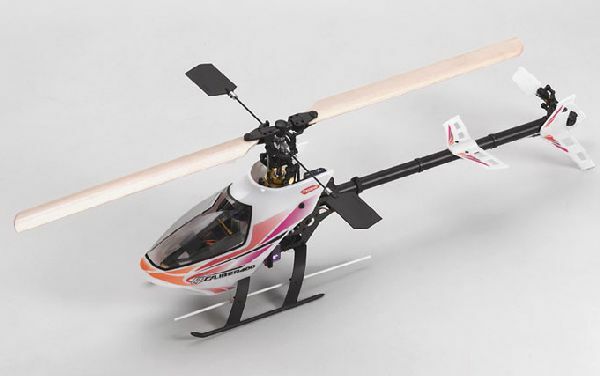 Tail rotor pitch slider mechanism utilizes dual bearings for the utmost in precision necessary for today's demanding 3D flight.